Ms. Thomas has over 40 years of experience, successfully directing, managing, maintaining and administering various high-profile projects and budgets, in the transportation and infrastructure fields. Cherryl worked for the City of Chicago in the Departments of Public Works, Water, Aviation and Buildings, and as Deputy Chief of Staff for Infrastructure in the Mayor's Office. Cherryl retired as Commissioner of Buildings for the City of Chicago to accept an appointment by President Clinton as Chairman of the U.S. Railroad Retirement Board. Upon completion of her term at the Railroad Retirement Board, Cherryl founded Ardmore Associates, where she has served as President/CEO for 14 years. In 2017, Ardmore Associates was acquired by TRG, The Roderick Group, and is now doing business as Ardmore Roderick, a full-service engineering firm. Her role in the new company is Chief Strategy Officer. Ms. Thomas is an active member of Chicago's c1v1c, educational and cultural communities. She currently serves on the Board of the Polk Brothers Foundation, the Helen Brach Foundation, The Chicago Network, the Lyric Opera of Chicago and the Chicago Zoological Society (Brookfield Zoo). 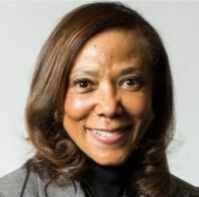 She is a former member of the Board of Directors of Marquette University, the Chicago Public Library, the Chicago Cultural Center, After School Matters, Loyola University of Chicago and St. Ignatius College Prep. Ms. Thomas resides in Chicago in the South Loop.